Last night I watched one of my favorite movies- Pretty in Pink. I've watched it dozens of times, but it really struck me how much vintage has been a part of my love life for longer than I realized. 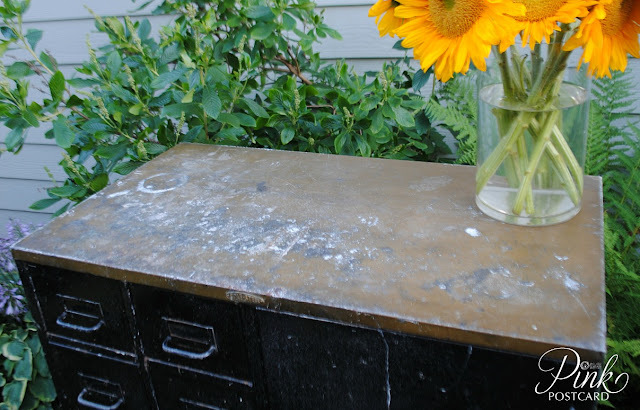 I've always admired the creative spirit that goes into reloving and reusing vintage items- whether it's clothing or furniture. It's so interesting and so real. Sometimes it's easy to walk past an item and not see it for the true beauty or unique item that it is. 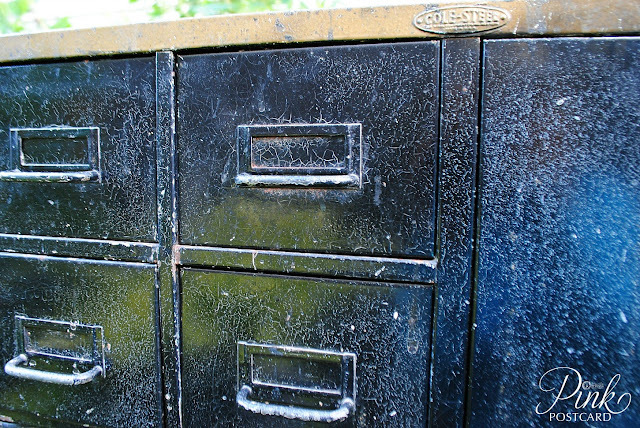 This cabinet is a good example of why you keep your eyes open when you're on the hunt. 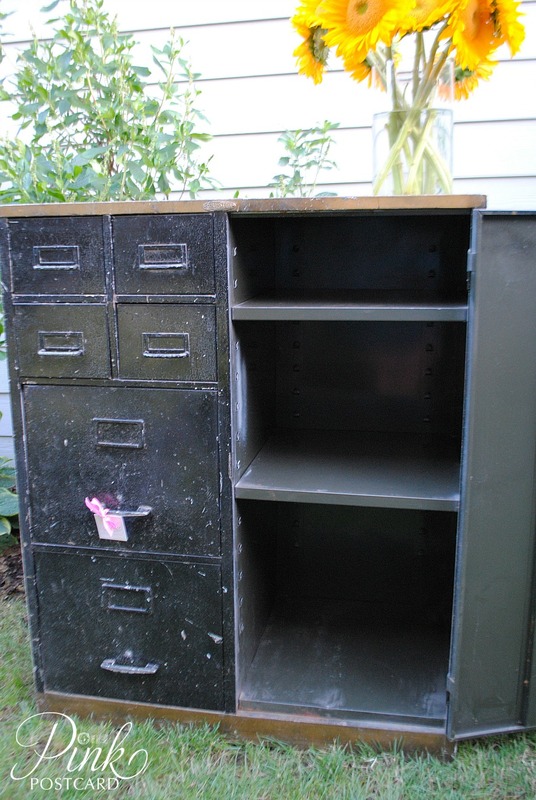 I've never come across an industrial cabinet that has card file drawers, paper file drawers, and a cabinet all in one unit! I love the crackly black paint. The gold top and bottom. Wouldn't it be amazing in a craft room, holding all kinds of goodies? Or a boy's room to stow all the wayward Legos, trucks and books? A kitchen space- for recipes, cookbooks, pots and pans, and linens? 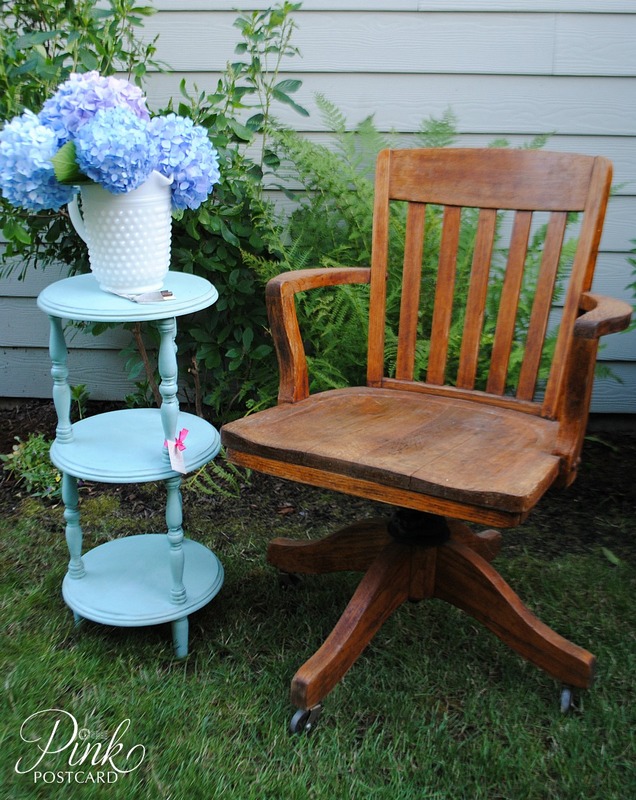 I see this as a gorgeous, chippy, stately, multi use piece of furniture! Not a cast-off office item. While I was hunting, I also came across this gorgeous, worn, oak banker's chair. 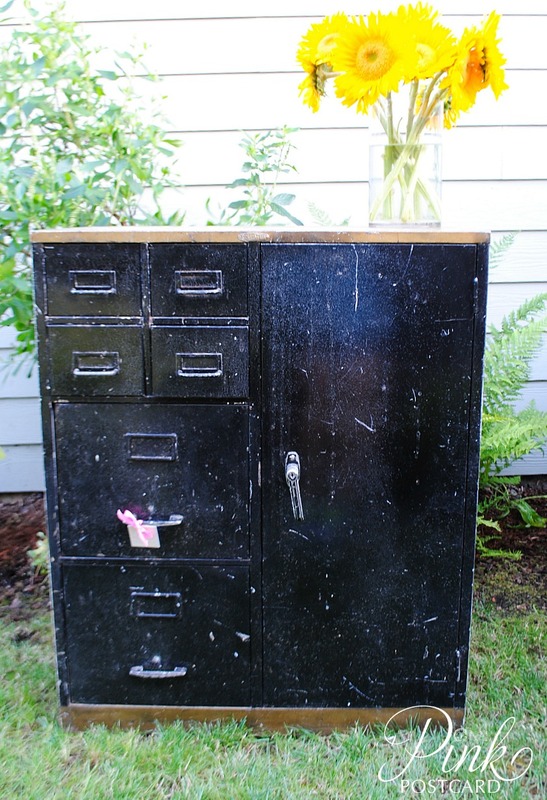 This one was really tempting to hold on to, because I am getting ready to update our home office. I've kept so many of my finds recently, that I just had to say a reluctant 'adios' to this beautiful piece. I paired it with this cute little aqua table that I just finished painting. 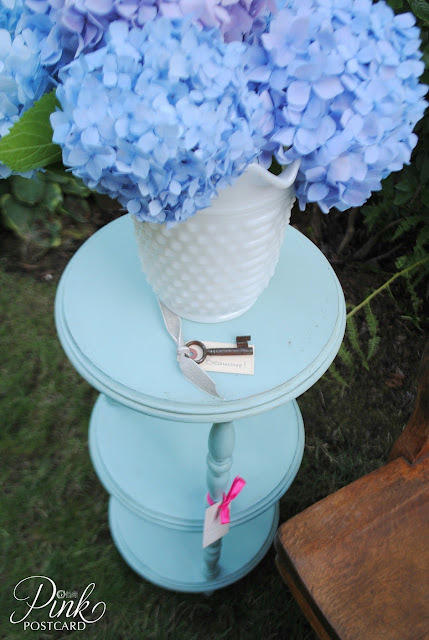 I love this tiered table! Great for a plant stand or a little powder room storage. 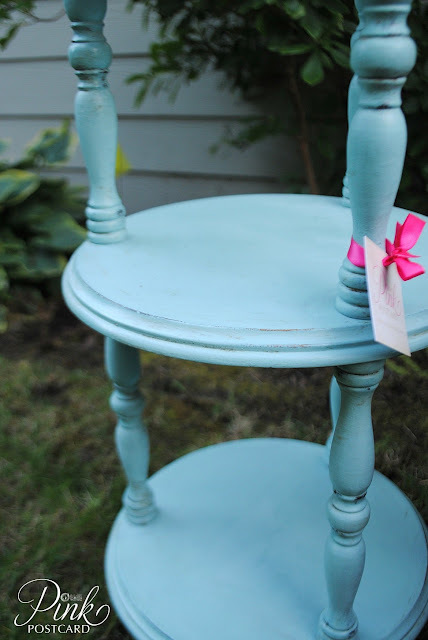 I updated it using Annie Sloan's chalk paint- a custom mix of Provence and Old White. It's a really cheery beachy color. Just a light distress with the sanding sponge, and some clear and dark wax. Great items and I can really see that cabinet in a craft room or even a nursery. To store all little items inside. LOVE, LOVE that industrial cabinet! !